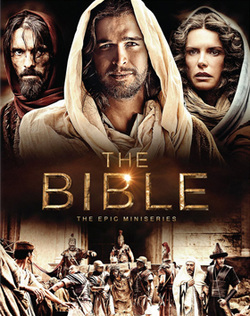 The Bible is a real life television adaptation of the actual bible that tries to stay as true to the book as possible. In some circles it is the number 1 show in America with over 7 million views. This season is the first but only has 4 episodes and is coming out with the DVD later this month. The show was very good, going through all the biblical stories until it reaches the story of Jesus. There was a lot of fighting, (for example the Israelites vs. Philistines) and at some points in the shows it got a bit graphic. The special effects were so life-like. It made the Bible come alive. This show series started March 3, 2013 and season one ended the 31 of March and begins soon again in April.